Search for apps manually: you might be trying to find a specific application. For such purpose, you can make use of the search tool available at the top of the screen where you’ll simply have to type in the name or keywords associated to the app in question. Browse through the editor’s pick: the application offers us a series of applications chosen by its editors or that are popular amongst its users. Here you can discover applications that you couldn’t even have imagined. Just scroll through them to explore them and find out what’s in store. 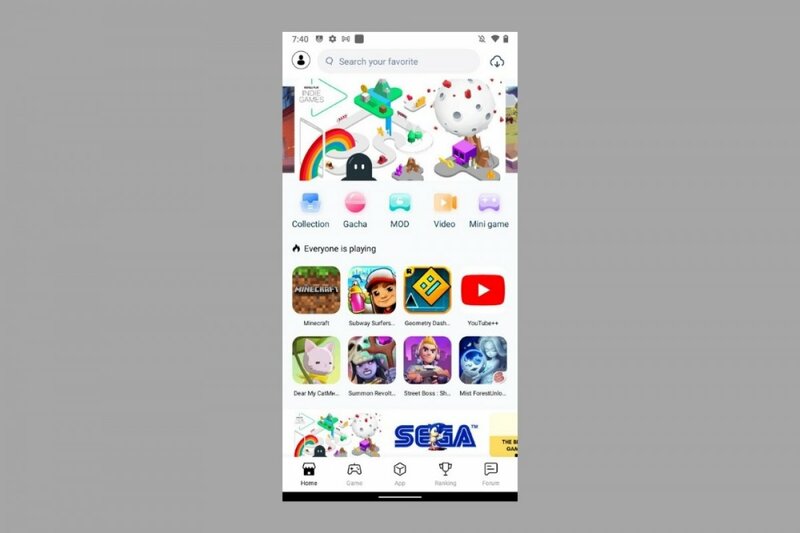 Explore the categories: at the bottom of the interface, you can access all the apps sorted by games and by software, as well as by different categories. This organization can help you to find similar applications to those that you already used or others that you need but you don’t know their name. You can explore them by popularity or in-depth by means of the categories into which they’re sorted. Sign up as a user: on the upper left-hand side you can find the option to sign up as a user and keep control of all the apps you’ve downloaded, bookmark apps as favorites or interact with TutuApp’s developers. QR code reader: on the upper right-hand side of the interface, you can scan QR codes to speed up the download of apps. Application manager: on the bottom right-hand side of the interface, you can access the installed application manager. Here you can keep an eye on the amount of storage space available, your download history, the apps that have updated or choose to uninstall them.